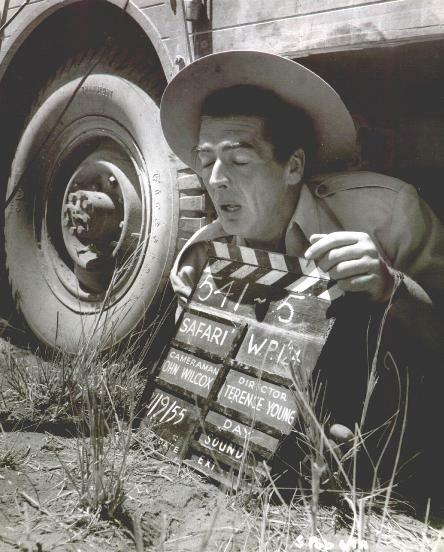 The only shade Victor Mature could find during a break in shooting was under one of Warwick's safari cars, while he was on location in Kenya's barren Northern Frontier District. 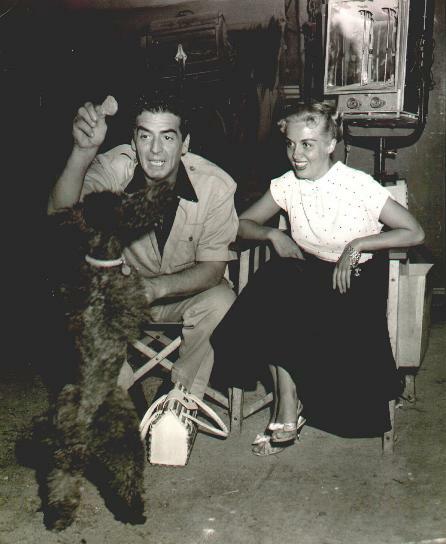 Mature and Janet Leigh suffered the intense heat for six weeks. 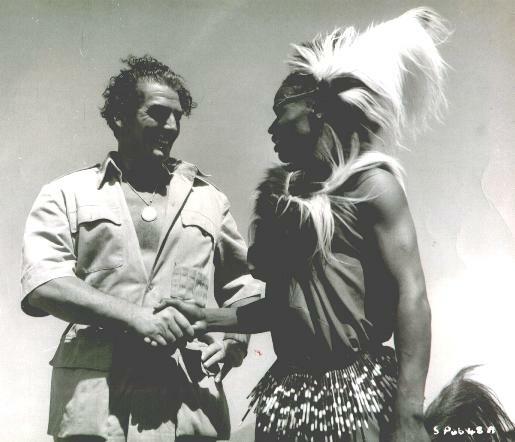 Victor Mature meets a member of the famous Chuka drummers during the filming of "Safari" in Kenya.